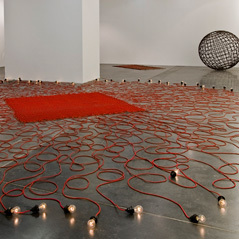 UCCA is pleased to present Mona Hatoum: Measures of Entanglement, an exhibition featuring sculptures and installations made by the Palestinian / British artist from 2006 onward, as well as a selection of her groundbreaking videos and works on paper. 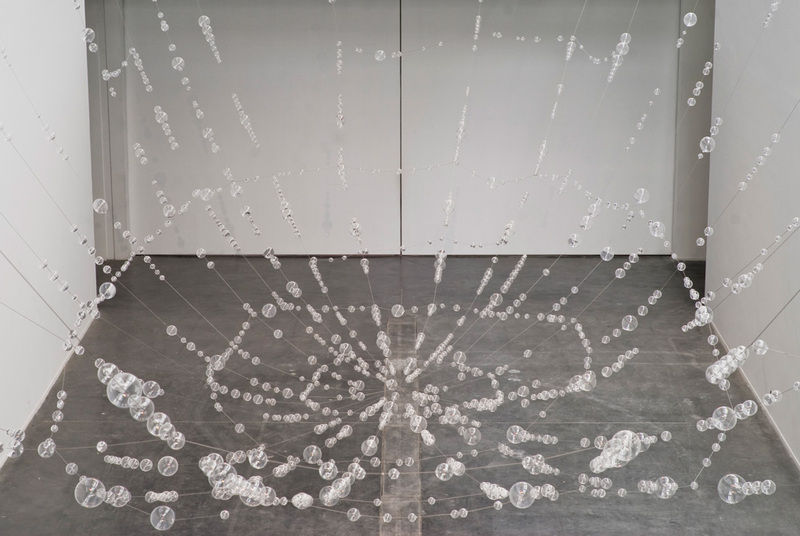 The show offers audiences in Beijing their first opportunity to experience Hatoum’s influential and multifaceted practice first-hand. 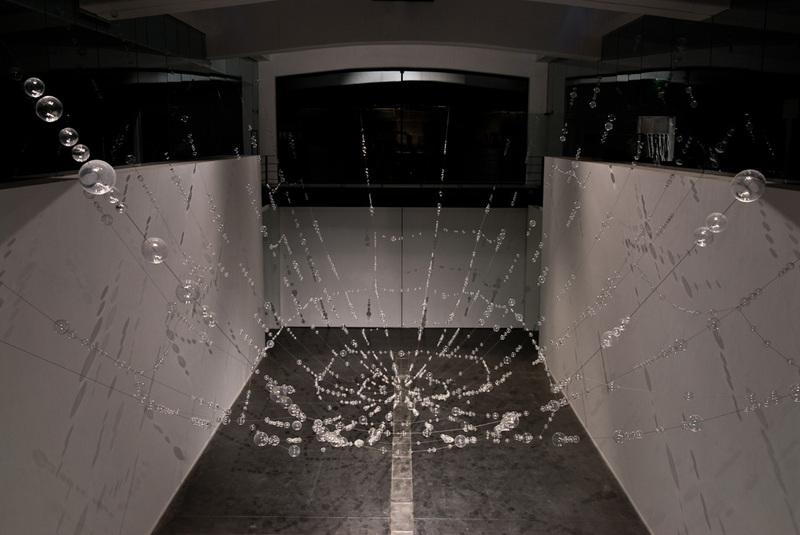 This is the artist’s first solo exhibition in the Far East. 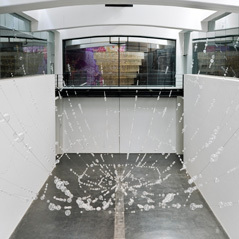 “As a platform for dialogue between China and the world, UCCA is inaugurating a new series of creative endeavors with today’s most prominent international contemporary artists. 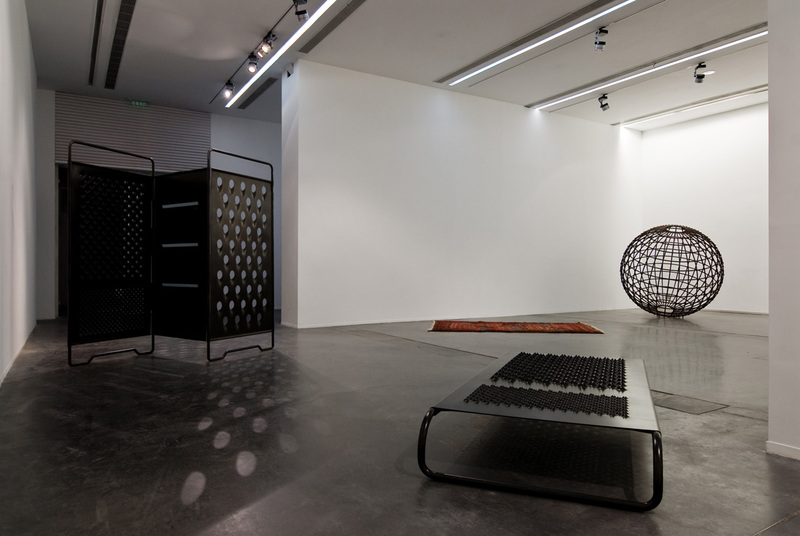 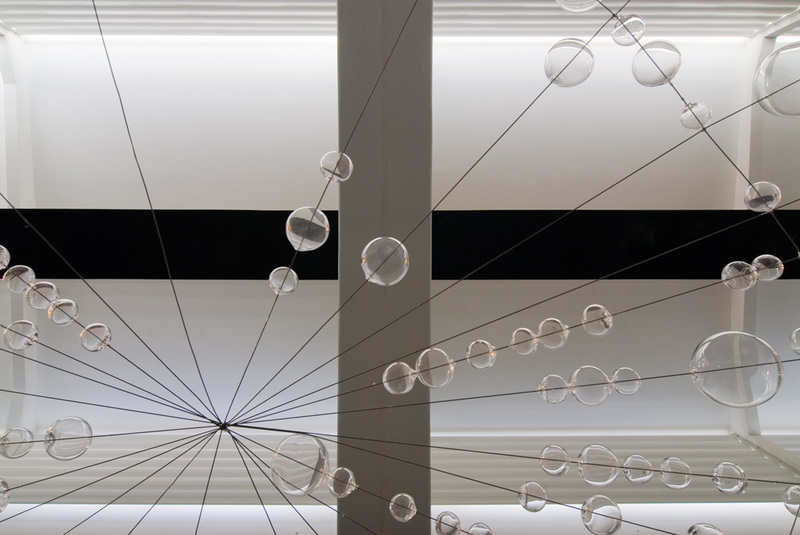 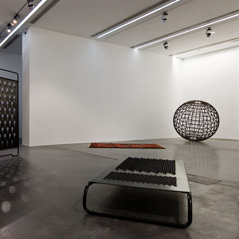 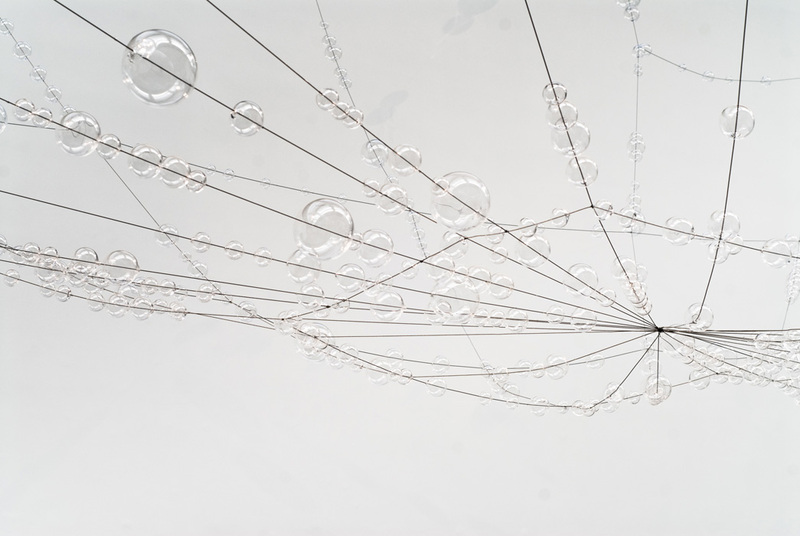 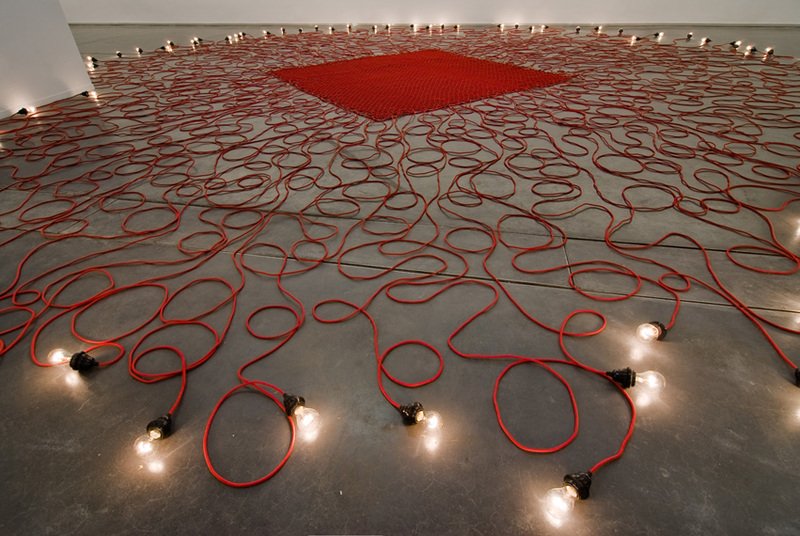 Presenting Mona Hatoum as our first choice in this series sets very high standards. 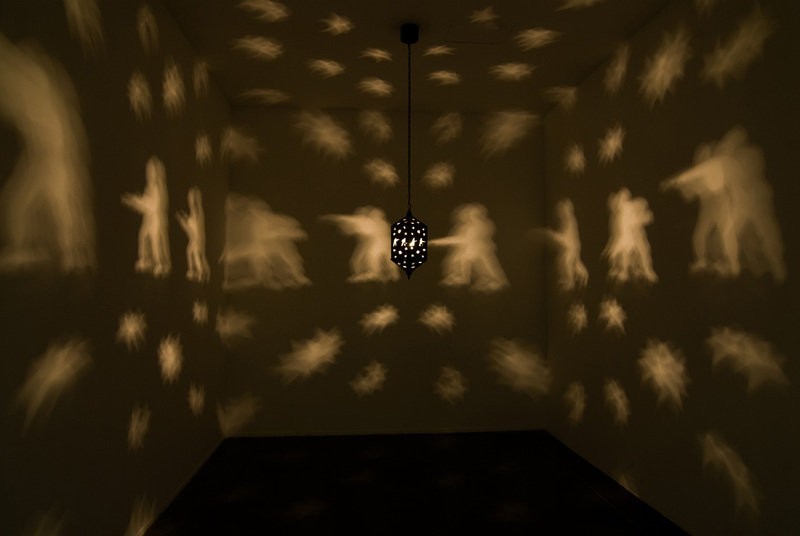 Hatoum’s work will initiate a very powerful dialogue with Chinese audiences, creating debate around the notions of transient culture and otherness that also lie at the core of Chinese contemporary art today. 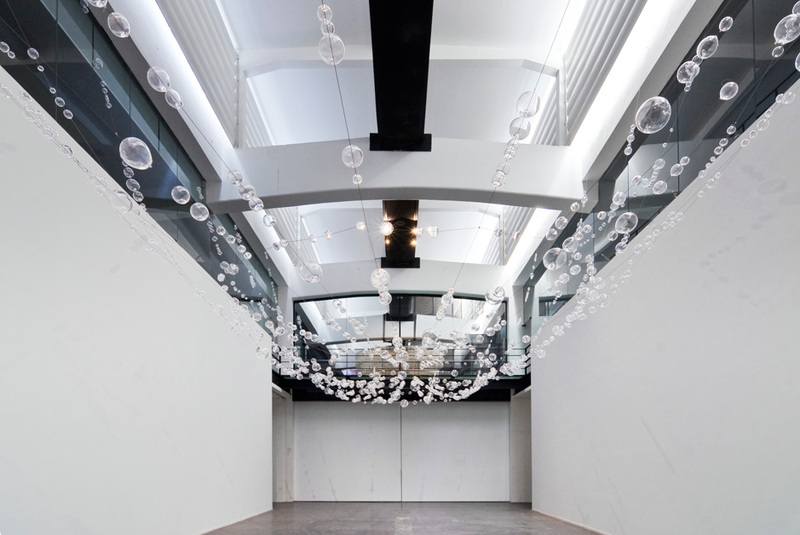 Beijing has become an international capital and UCCA wants to be the ultimate flagship for international creativity in town,” said Jérôme Sans, UCCA Director. 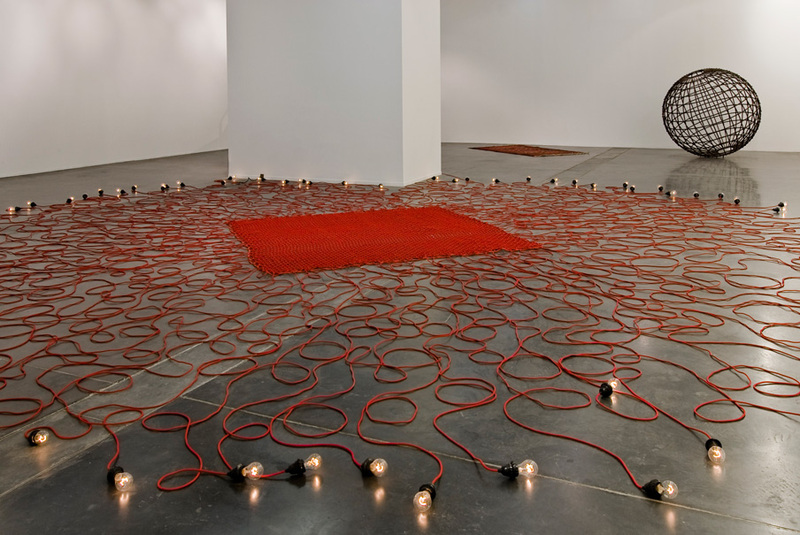 In Mona Hatoum’s universe, familiar objects shift in scale and mutate until they take on a complex psychological charge that makes them appear both alluring and dangerous. 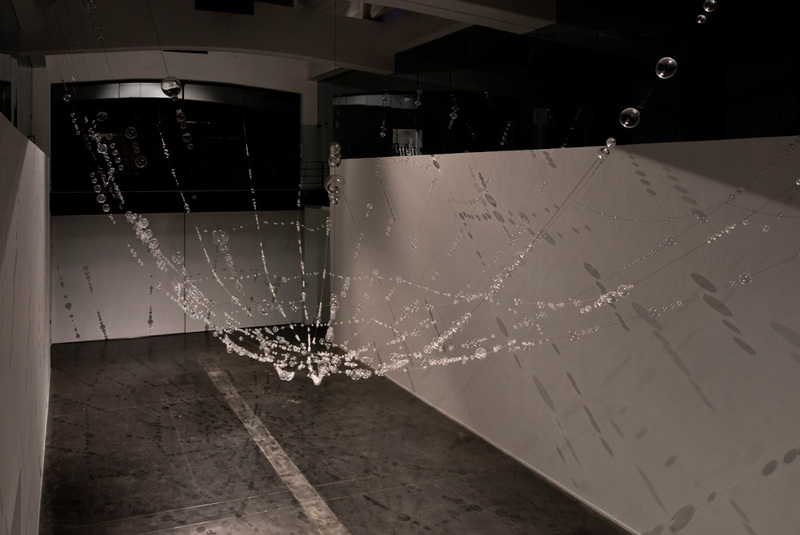 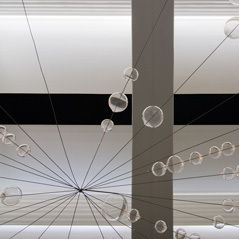 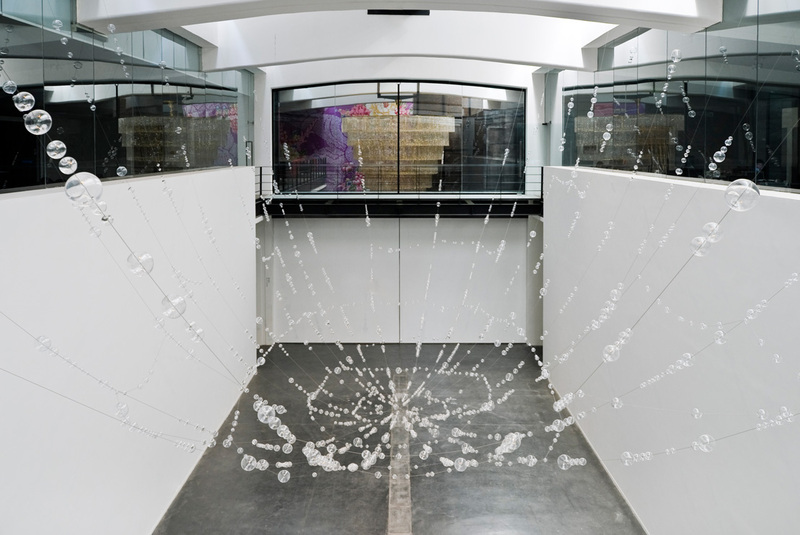 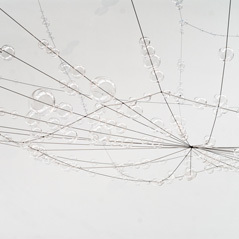 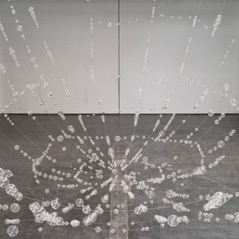 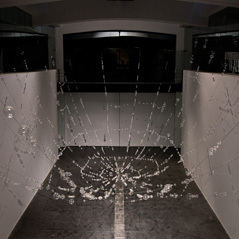 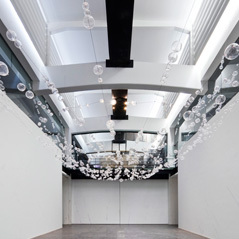 A constellation of crystal spheres is arranged to form Web (2006), a net-like structure suspended from above in UCCA’s nave that attracts the eye but mimics the shape of a spider’s trap.Paravent and Dormiente (both 2008) are enlarged kitchen graters whose enormity transforms them into a room partition and a bed, respectively, but their sharp edges threaten to harm those who would dare to touch them. 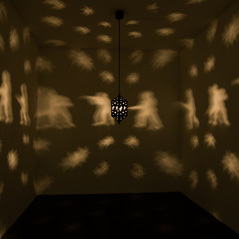 Misbah (2006), which means “lantern” in Arabic, projects a mobile procession of stars and soldiers around the darkened room. 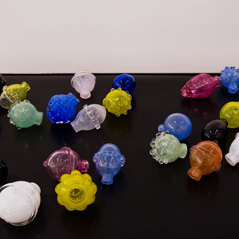 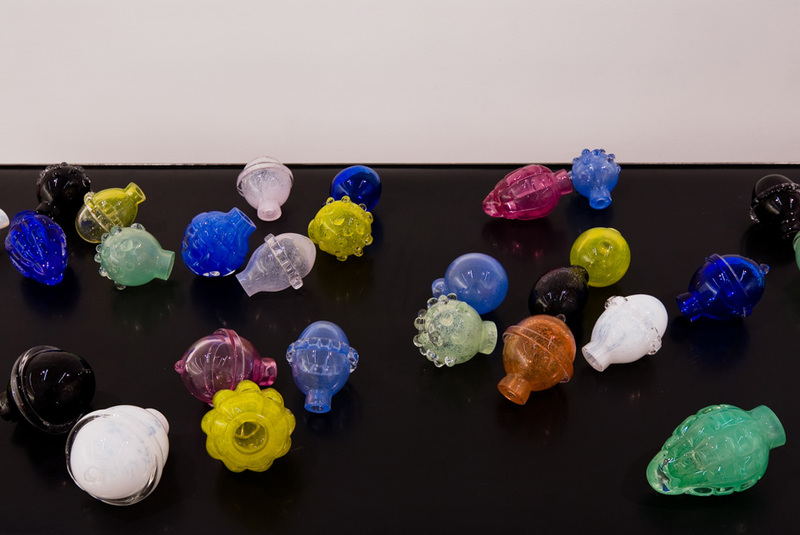 Candy-colored globes reveal themselves to closely resemble hand grenades made of glass in Nature morte aux grenades (2006-2007). 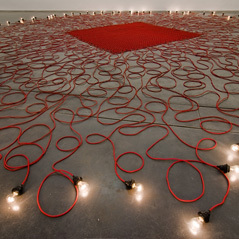 With its pulsing, glowing light bulbs and tentacle-like electrical cords curling in every direction, Undercurrent (red) (2008) suggests some kind of creature with a malevolent force underfoot. 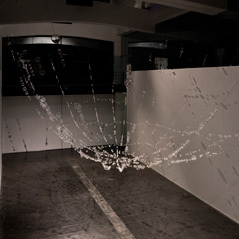 The exhibition also features video works from earlier in the artist’s career, including the deeply moving Measures of Distance (1988), which lyrically addresses Hatoum and her mother’s separation after civil war erupted in Beirut in 1975; video documentation of the public performance Roadworks (1985); and a series of unique works on paper.